Although many consumers view Black Friday as the official marker of the beginning of the holiday shopping frenzy, the one-day affair has morphed into a 5-day holiday bargain event, starting with Thanksgiving and ending with Cyber Monday. Last year, Black Friday saw a 21.6% year-over-year growth rate with a remarkable $3.34 billion in online sales, of which 36%, or $1.2 billion, was generated from mobile devices. US customers also spent a record of $3.45 billion online on Cyber Monday, an increase of 12.1% from last year. What does this year hold for e-commerce businesses? Here are the forecasted trends for 2017. In 2016, Cyber Monday made history as the day with the most online sales ever, and this year, it is anticipated to be even more lucrative, with $6.6 billion in revenue. 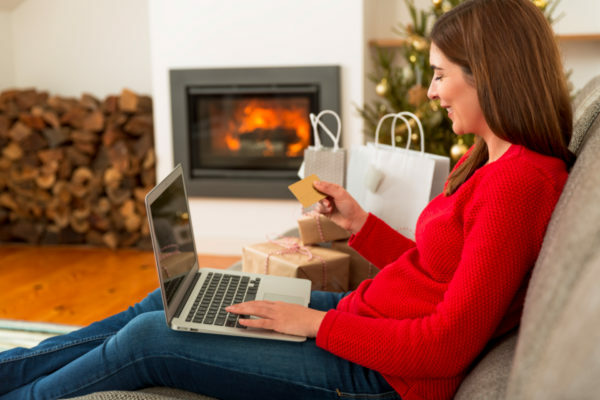 According to a study conducted by Euclid, 72% of customers look forward to Cyber Monday more than they do any other holiday shopping day, making it the most anticipated bargain event. While retailers can still expect hordes of shoppers lining up for hours outside stores with the best deals, many digitally savvy consumers will turn to the convenience of online shopping, taking advantage of sales from the comfort of their homes. For retailers with a strong e-commerce presence, a cohesive cross-channel strategy will be crucial. As mentioned previously, last year, mobile shopping generated $1.2 billion in sales on Black Friday, which accounted for an impressive 36% of total sales for that day. In 2017, for the first time, it is expected that mobile visits to retail sites will outpace desktop, accounting for 54% of all traffic, meaning that optimizing for mobile conversions will be key for e-commerce businesses this year. In 2015, 59% of consumers completed the majority of their holiday shopping on Black Friday. In 2016, that number dropped to 51%, and this year, it is predicted to fall to 35%. Rather than shop on the one day, consumers are now choosing to spread out their shopping evenly to take advantage of deals offered by businesses, both brick-and-mortar and online, over the 5-day event and the holiday season. How will your e-commerce business take advantage of Black Friday and Cyber Monday this year? Tell us in the comments below.